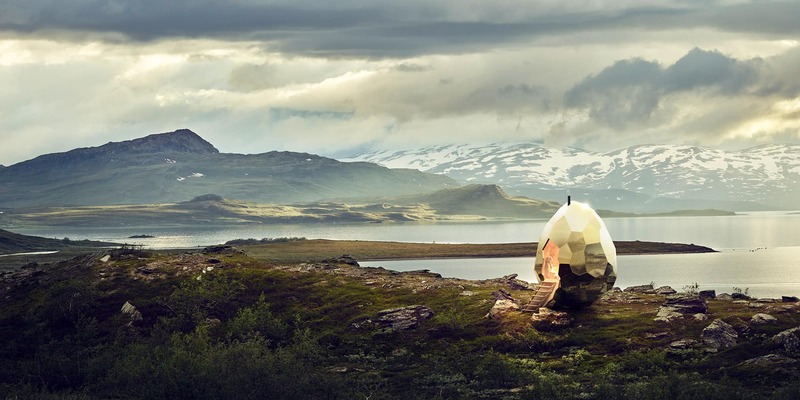 Riksbyggen’s sauna Solar Egg has been on a tour and become globally famous. 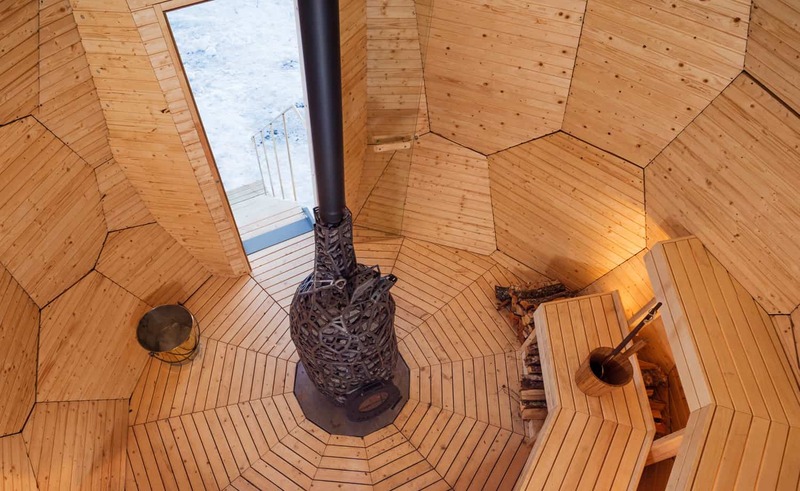 The sauna was created by the artists Bigert & Bergström and exhibited for the first time in spring-winter 2017 at Luossavara ski resort in Kiruna. The inspiration to the Sun Egg’s shape and function comes from Malmfälten, filled with contrasts and dynamism. 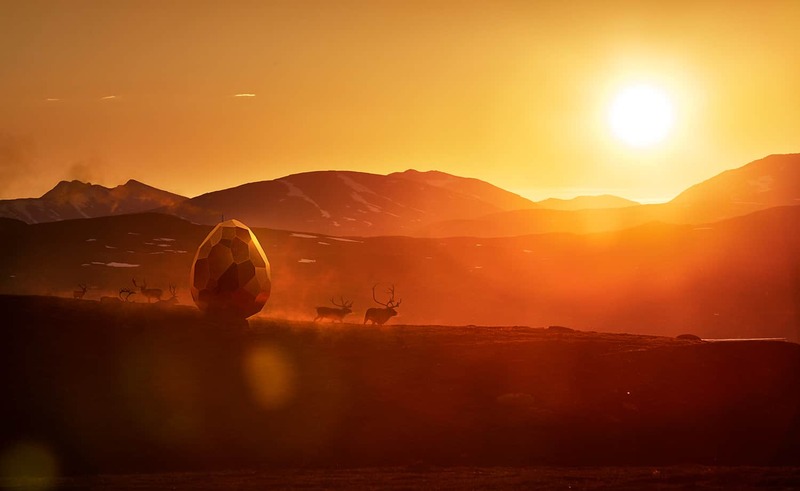 After Kiruna, the Egg went on to Björkliden and had a splendid view of the midnight sun and the mountain landscape in summer. During autumn 2017 it was taken apart and transported to Paris and an exhibition at the Swedish Institute. After Paris, the Solar Egg spent a few months visiting the Swedish capital, at Artipelag, before heading back home to Swedish Lapland, to Gällivare for a summer. It then spent some time in Copenhagen before heading over to the US and Minneapolis. During the trips abroad the sauna became a global success. 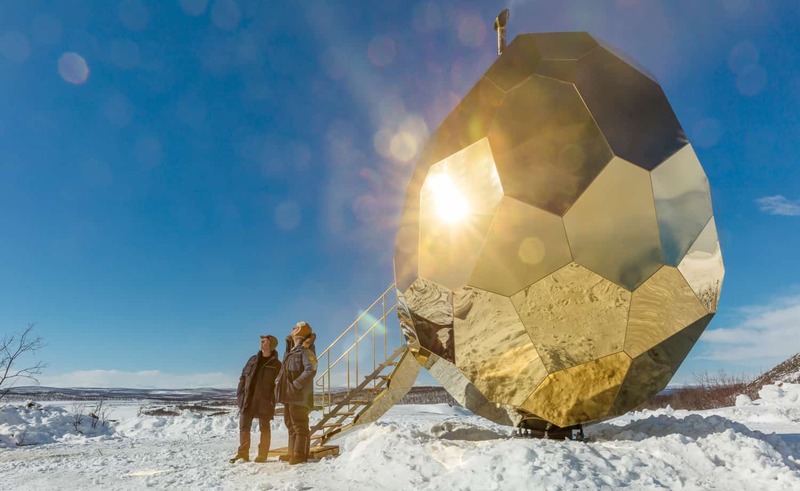 – I think we’re contacted once a week by various cities all over the world, asking if we can come and exhibit the sauna egg, says Mathias Sandberg at Riksbyggen. During the exhibition at the Swedish Institute in Paris, it got a lot of media coverage, of course. Incredible media coverage, in fact. 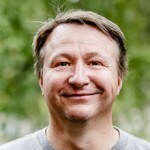 But I think it’s the cool design, more than anything, that interests both journalists and others, he continues. 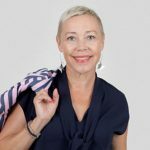 Its design was created by the duo Bigert & Bergström. The request from Riksbyggen spoke about a “sculptural symbol that inspires thoughts of renaissance”. 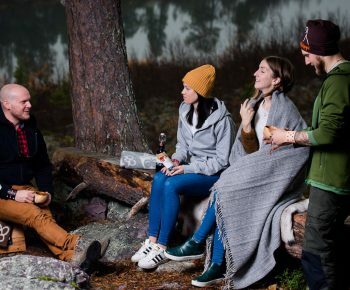 Perhaps it’s not surprising that the sauna egg ended up in Kiruna first since the whole town is being reborn. It’s also not surprising that it visited Gällivare, as it’s yet another town that’s meant to rise like a phoenix from a cloud of building dust. – Our exhibition “Swedish design moves Paris” was meant to provide an idea of Swedish design, architecture and fashion that wasn’t just aesthetic but provided an experience. 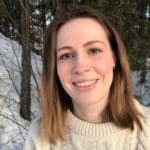 Solar Egg did that wonderfully, says Linda Williams, the manager of Visit Sweden’s office in Paris. – The Solar Egg has definitely been added to the image of Sweden abroad. It’s because of all the media and the visitors the coverage attracted to our exhibition. But it’s also because of the story. It’s not just design for its own sake, the building company Riksbyggen wanted to give something back to the places they work in through the Solar Egg. The Solar Egg concept was something very simple, namely creating a space for communication. Perhaps something that’s lacking in today’s society? 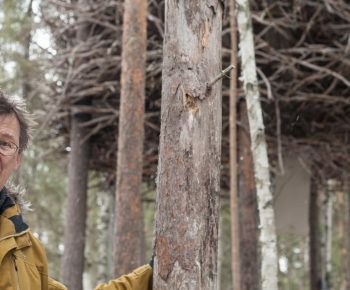 – The sauna is a fascinating space, say the two artists who created the egg, and continue: in the clean, simple heat of a sauna there’s plenty of room for conversations about subjects big and small. 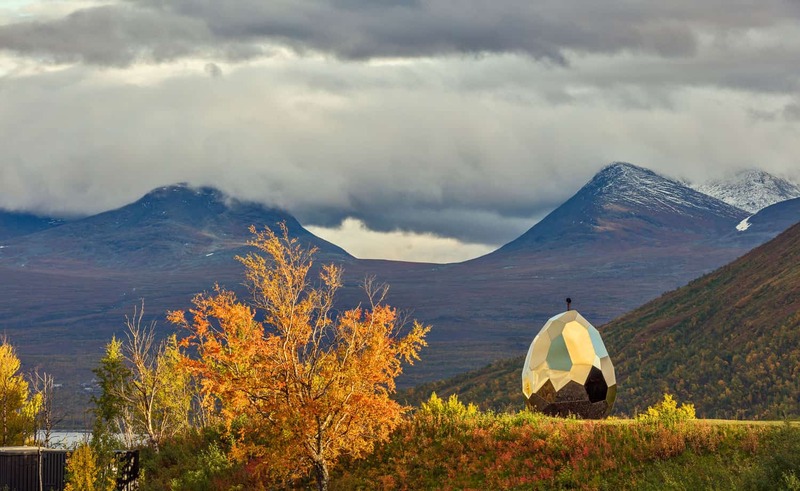 The Solar Egg sauna is created by the artist duo Bigert & Bergström for Riksbyggen. The sauna has been in Kiruna, Björkliden, Paris, Stockholm, Gällivare, Copenhagen and Minneapolis, US, so far. Find out more about the Solar Egg sauna and where it’s going next at riksbyggen.se. The Kiruna mountains are not new to them. Among other things we’re reminded of a spectacular installation on top of Kebnekaise in 2015 when they covered the highest peak in Sweden with a blanket to protect it from the heat. Just to see if it was possible to stop the glacier from melting. But Solar Egg is less about geo-engineering and more about focusing on man’s practical use of the sauna as a meeting place. – Solar Egg is meant to capture the progressive spirit at Malmfälten, says Mathias Sandberg at Riksbyggen. At Riksbyggen we’re proud to be part of the historical move of the two cities Kiruna and Gällivare/Malmberget. 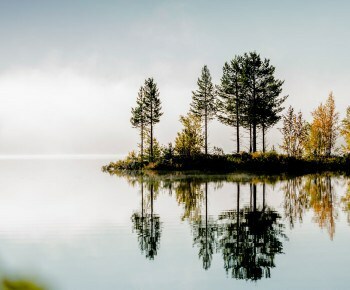 The sun and the egg are symbols of starting afresh, being born again, just like the sauna itself is a symbol and a practical function for conversation and community, he continues.